‘It won’t rain’ they said, ‘not two years in a row’…. It did though and it rained hard. We arrived bright and early and full of hope, helped set up and waited... and one by one they came. Our amazing troop of dedicated pullers. They came with smiles and laughs, good humour and total commitment and gradually the skies cleared enough for the event to be given the final go ahead. 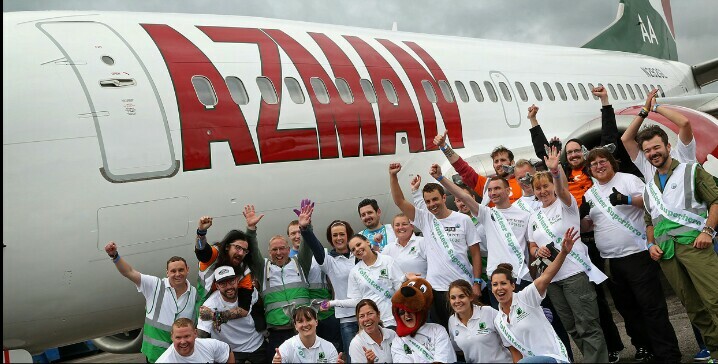 Led by our Deputy Dawg mascot, aka Sarah, we entered the airfield to a Mexican wave from the audience incited by Chris and his team from Rockley Park, we lined up one by one in front of the Azman Airlines Boeing 737, with our hearts a flutter and not a shred of strategy in sight. Decked out in our Volunteer SuperHeroes sashes and a glove, just one each (there were battles over the pink ones) we took up the slack and we PULLED and pulled and pulled and even broke into a bit of a sprint and we smashed it! 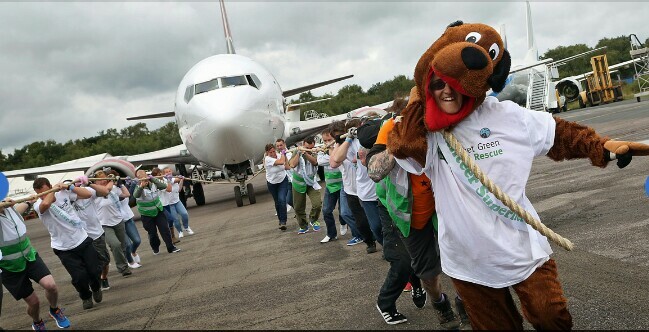 29.47 secs, not bad for our first go, the winning team managed it in 21 secs but we strode off that runway with our hearts pumping and our heads held high. Safe in the knowledge that what we had just done is going to make a huge difference to all the animals at Margaret Green Animal Rescue. Team MG you rocked and that includes you Claire, we couldn’t have done it without you either. Claire, Sarah, Jack, Matty, Brian, Lenka, Melinda, Hannah, Matt, Darren, Mark, Paul, Lucy, Kate and our amazing team from Rockley Park: Chris, Debs, Rob, Phil, Emma, Dan, Wyn, Simon, Ben, Phil and Vicky. Watch this space... next year we'll do it in 20! If you haven't yet pledged your donation, please visit our Just Giving page to donate today. Any amount, however large or small will make a difference!